CAPE CANAVERAL — A United Launch Alliance Delta 4 rocket went through a practice countdown and fueling exercise this week to prepare for its Aug. 19 liftoff to deliver a pair of orbital surveillance satellites into space. 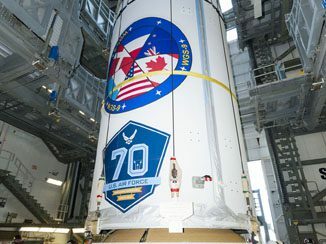 Known as a Wet Dress Rehearsal, the test at Complex 37 was conducted on Wednesday, July 27, a day before an Atlas 5 rocket successfully launched the NROL-61 spacecraft for the National Reconnaissance Office from nearby Complex 41. The Delta 4 was rolled to the pad earlier this month to begin the conventional checkout and final assembly tasks for the rocket while in a vertical position, including installation of two solid-fuel boosters. Wednesday’s operation saw the mobile service gantry retracted to its launch position and loading of 165,000 gallons of supercold liquid hydrogen and liquid oxygen into the first and second stages of the vehicle while working through a realistic countdown. With the WDR completed, attention now turns to delivering the payload to the pad in early August for attachment. The flight of Delta 375 will launch the third and fourth spacecraft in the Air Force’s Geosynchronous Space Situational Awareness Program, or GSSAP, and carry the satellites all the way to 22,000 miles above the Earth for deployment. 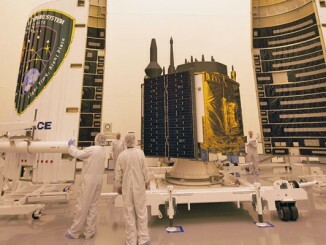 The duo will join an earlier GSSAP pair launched two years ago this week that are being used by USSTRATCOM today for monitoring satellites, rocket bodies and debris in geosynchronous orbit and providing collision prediction data. 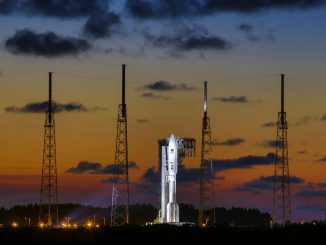 Liftoff on Aug. 19 will occur some time between 12 midnight and 4 a.m. EDT (0400-0800 GMT). 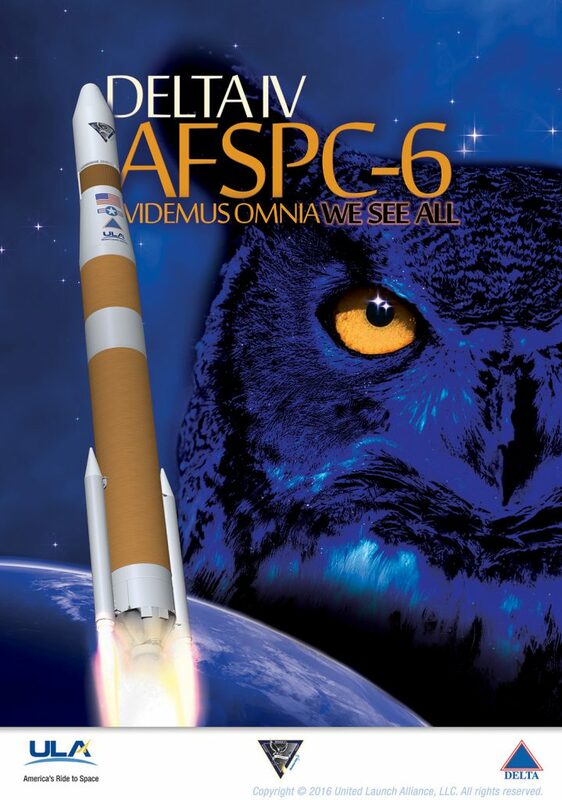 The launch is called AFSPC 6 for the Air Force Space Command. It will be the 33rd Delta 4 launch and the vehicle’s 18th flight for the Air Force. This is United Launch Alliance’s next mission, the company’s 110th since its 2006 creation and 44th dedicated to serving the Air Force. See earlier Delta 375 coverage.